They thought they knew the score, but a group of thieves get more than they bargained for when they kidnap a girl possessed by a demon in House on Willow Street, coming to Blu-ray and DVD from Scream Factory this August. Today's Horror Highlights also includes a DVD contest for Glenn Douglas Packard's Pitchfork and release details and a trailer for Manhattan Undying. 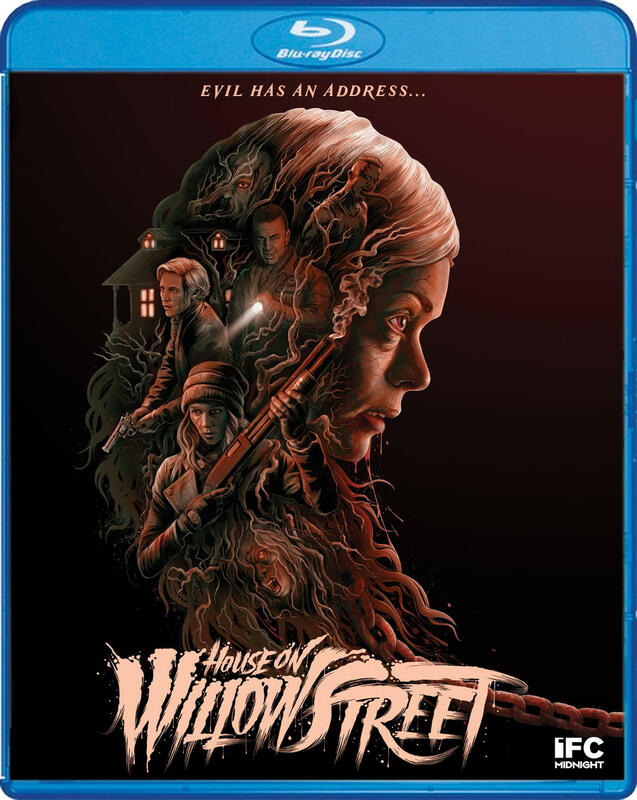 House on Willow Street Blu-ray & DVD: From Scream Factory: "We are pleased to announce that we have a new IFC Midnight film planned for release on Blu-ray & DVD this August! THE HOUSE ON WILLOW STREET – The perfect kidnapping goes gruesomely awry in this shock-a-minute, supernatural wild ride. When a band of desperate criminals, led by the tough-as nails Hazel (Sharni Vinson, You're Next), abduct Katherine (Carlyn Burchell), the daughter of an ultra-wealthy family, they are certain they've found themselves an easy target for ransom. What the gang doesn't realize is that although they have Katherine's body, her soul has already been spoken for … by a demonic force that's about to turn the tables on them. As Katherine's captors confront demons, both personal and supernatural, it soon becomes clear to Hazel that for this simple ransoming, there will be Hell to pay. Streets 8/1/17 Pre-order now @ https://www.shoutfactory.com/…/film-…/house-on-willow-street"
Contest: Win Pitchfork on DVD: "Glenn Douglas Packard's critically acclaimed horror spectacle PITCHFORK releases on DVD and Blu-ray May 2 from Uncork’d Entertainment. Produced by Packard, Darryl F. Gariglio and Noreen Marriott, with associate producer Shaun Cairo, and boasting a screenplay by Gariglio and Packard, PITCHFORK is a “loving homage to the great slasher franchises of the ‘80s” (Morbidly Beautiful). The DVD will be available at Amazon (with new limited edition art), Walmart and Family Video on May 2, with a Blu-ray release also available on Amazon May 2. Extras on the DVD and BD include ‘Behind the scenes : the Making of Pitchfork’ featurette, ‘Becoming Pitchfork: Making of a Monster’ featurette, deleted scenes, bloopers, outtakes, teaser & trailer, and audition tapes." Prize Details: (3) Winners will receive (1) DVD copy of Pitchfork. 2. Email: For a chance to win via email, send an email to contest@dailydead.com with the subject “Pitchfork Contest”. Be sure to include your name and mailing address. Entry Details: The contest will end at 12:01am EST on May 19th. This contest is only open to those who are eighteen years of age or older that live in the United States. Only one entry per entry method, per household will be accepted. Manhattan Undying Release Details & Trailer: "Max is a talented young painter with a cult following for his hyper-realist style. Frustrated, he is squandering his life with drugs and excess until he learns that he has only weeks to live with advanced lung cancer. He decides to work on one last masterpiece instead of clinging to life with rigorous medical treatment. Vivian is a beautiful vampire preying on men who objectify women. She yearns to see her herself and understand the infatuation of her victims. Vivian and Max's paths cross when she appears in his studio so he can paint her portrait. Max seeks to find immortality in his final work inspired by Vivian while Vivian struggles to model for him. Their deep understanding and common plight develops into an impossible love. They both face a challenge of choosing between immortality or eternal love." Directed by Babak Payami from a screenplay by Matt Deller, Manhattan Undying stars Luke Grimes (Fifty Shades Darker, Fifty Shades of Grey, American Sniper) and Sarah Roemer (Disturbia, Hachi: A Dog's Tale, Fired Up!). 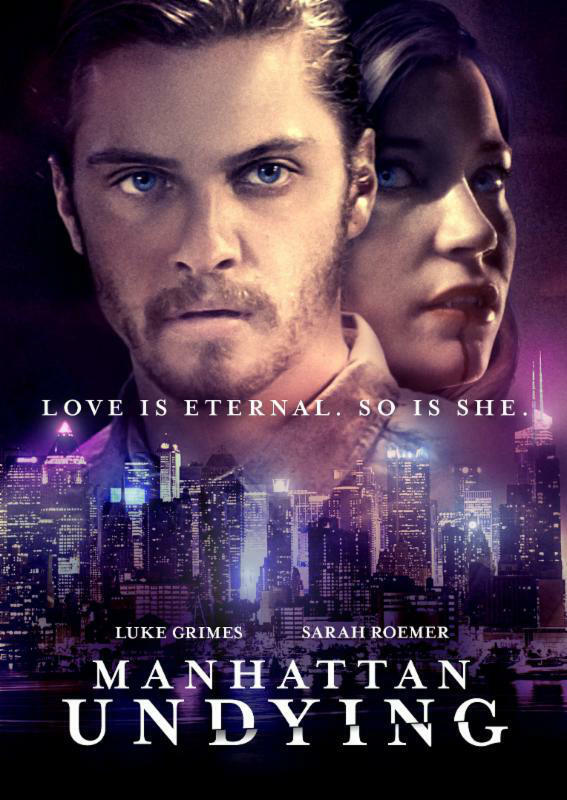 Momentum Pictures will release Manhattan Undying on VOD, Digital, and DVD beginning June 6th.